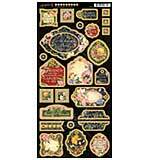 Christmas Stocking Stickers by "Kit n Kraft". 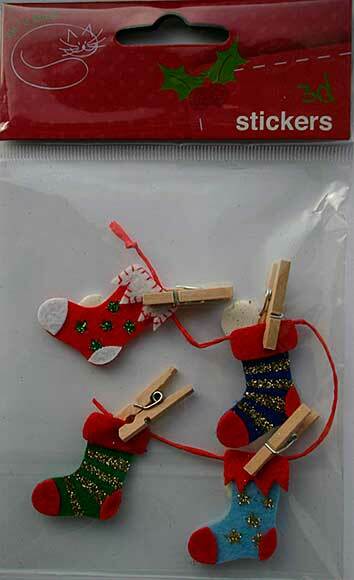 4 felt Christmas stockings with glittered designs, each with wooden mini clothes peg. Use individually or all together hanging on the garland provided. All 4 stockings come with foam self adhesive pad on the back. When applying to your project, you can use extra glue to ensure they remain in place. Or easily remove the foam pad so your stocking hangs freely.